Accessories Make All the Difference. 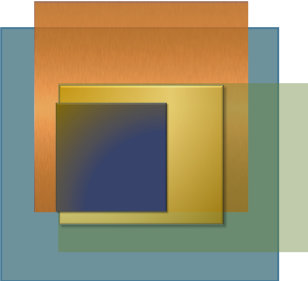 Crystal and mirrored accessories add a refined elegance and give the illusion of more space. 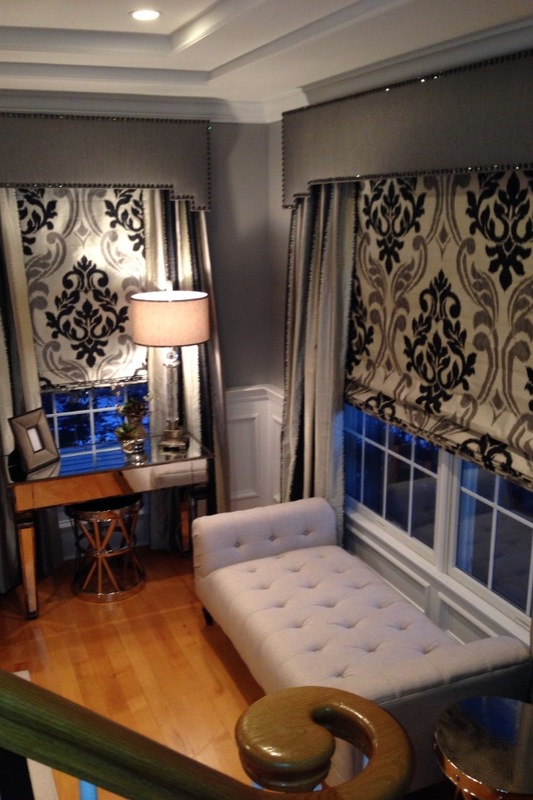 The black and white pillows damask motif pillows echo the pattern on the Roman shades, while the solid black ones anchor the arrangement of the interior scape. The green ferns on the table bring and element of life into a room of gray and black &white. 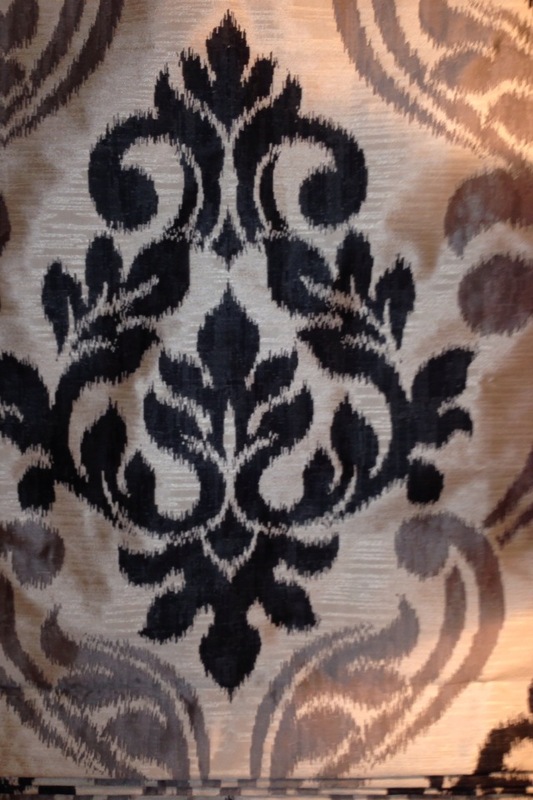 Starting with a gray color scheme this young client wanted something bold and exciting for her formal living room. 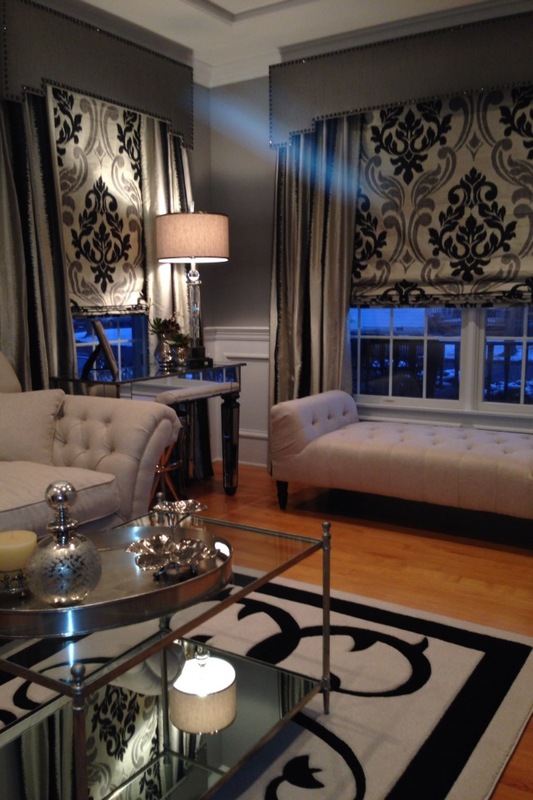 She fell in love with the glass mirrored tables and bold black, gray and white pattern. Locating a perfect rug was difficult so this custom-made bevel cut rug with it’s angles and curving lines truly finishes the room with complete harmony. 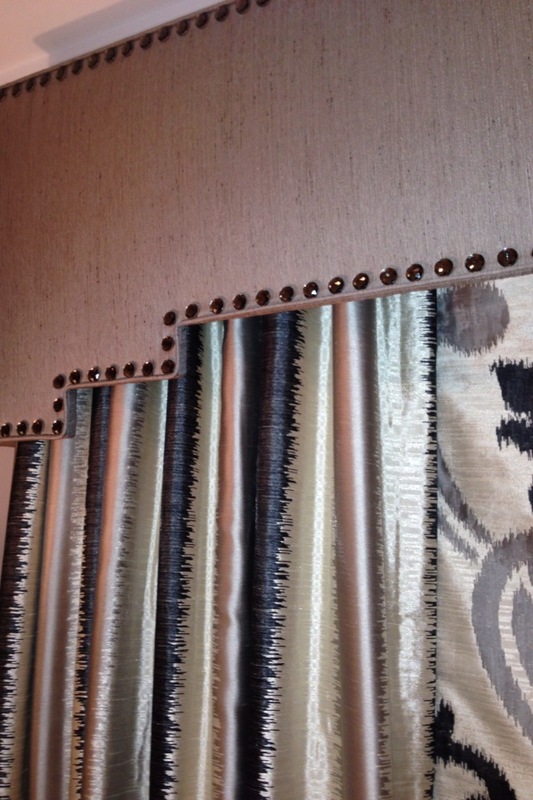 More bling was added to the cornices for an added detail of elegance. 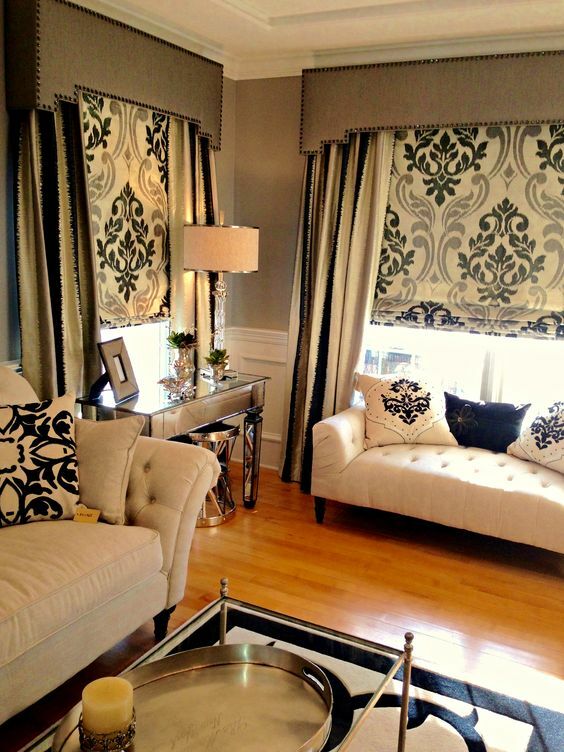 Side panels and cordless Roman shades create a bold anchoring feeling. The feminine lines of the cream sofa and bench give curves and soft appeal to the room.